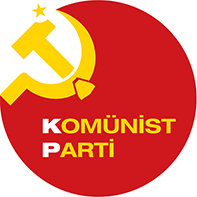 The Communist Party (KP) was established when the party's predecessor, the Communist Party of Turkey (TKP), was split into two groups in 2014. TKP, which was founded in 2001, failed as the successor of the former TKP line founded in 1920's. Its emblem is a sickle and hammer.